From January 17-21, Mexico’s Pacific Treasure was at the Mexico Pavilion at the 38th edition of this event, a global meeting place for tourism professionals and a leader for the receptive and emitting markets of Ibero-America. The Riviera Nayarit was present at the 38th International Tourism Fair (Fitur) in Madrid, Spain, which takes place from January 17-21, welcoming over 100 thousand international tourism industry professionals and more than 100 thousand visitors. 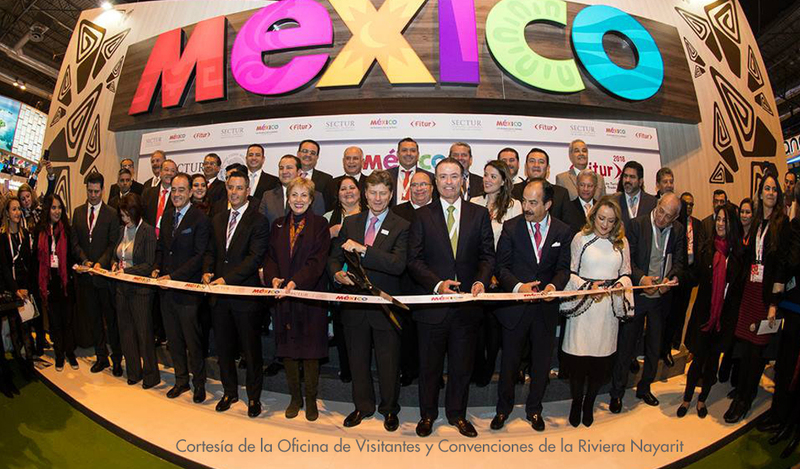 The Riviera Nayarit Convention and Visitors Bureau (CVB) and the Bahía de Banderas Hotel and Motel Association (AHMBB), represented by their managing director, Marc Murphy, are once again at the Mexico Pavilion this year with their commercial partner, Puerto Vallarta, to present their top tourism attractions with the support of the Mexico Tourism Board (MTB). This year’s event was also attended by Eulalio Coronado Mendoza, Minister of Tourism for Nayarit, who participated in the inauguration of the Mexico Pavilion and the Premio Excelencias Turísticas awards, presented by the Excelencias editorial group to the entity for its successful use of gastronomy as a cornerstone of its tourism promotion. 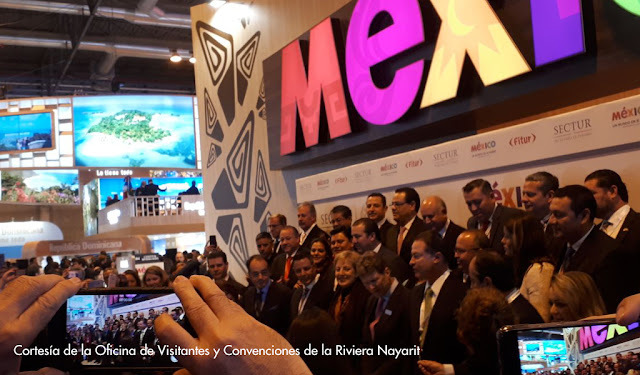 The objectives of the Riviera Nayarit and Puerto Vallarta are focused on reinforcing the relationship with the European market, the airlines, wholesale travel agencies and other industry players, so they can progress with possible new flight connections. The destination is expected to participate in business meetings, which truly make the best use of the available time. The topic of connectivity between Mexico and Spain is relevant—in fact, the number of seats projected for 2018 between the countries is in excess of 68 thousand passengers. 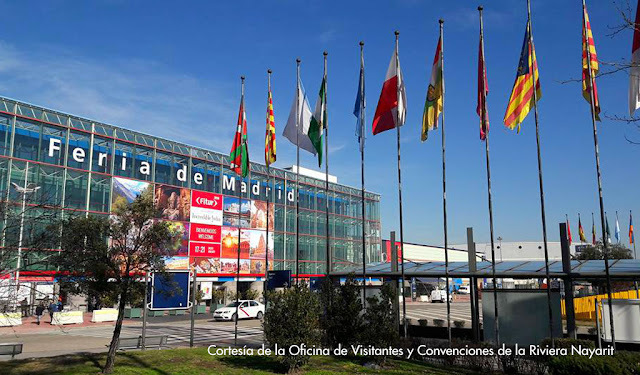 The inauguration of Fitur 2018 took place on Wednesday at Madrid’s IFEMA convention center, where Minister of Tourism Enrique de la Madrid Cordero inaugurated the Mexico Pavilion. 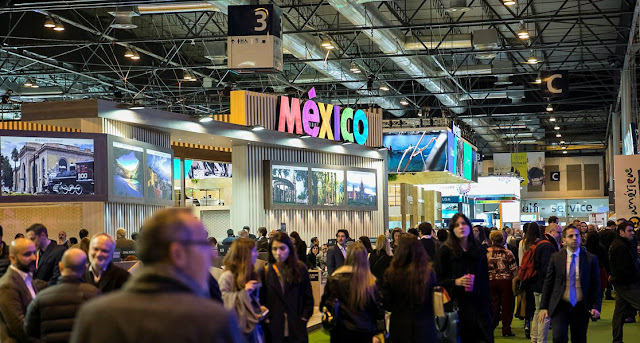 Mexican exhibitors from different states of the Republic, destinations, hotels, tour operators and airlines form part of this pavilion with the purpose of strengthening the country’s tourism industry. The event covers 65,500 square meters of space and includes over 10 thousand companies from 165 countries and regions. This particular edition is expected to regsiter an increase in the number of visitors, exhibitors and business meetings over that of 2017, which broke a record with the participation of 9,893 exhibiting companies from 165 countries and/or regions; 135,838 professional attendees; and 109,134 general public attendees. There was also an increase of 18.8% in the number of international professional participants with respect to the previous edition. The volume of B2B business meetings that have been scheduled and arranged in FITUR has increased to 6,800. The presence of 7,542 journalists is also proof of the expectation generated within the international festival circuit within the sector. The Riviera Nayarit Convention and Visitors Bureau (CVB) and the Bahía de Banderas Hotel and Motel Association (AHMBB) reaffirm their commitment to create new alternatives that allow the positioning of the destination in markets that have proven their importance in the development of tourism in Mexico. By the same token, they are also consolidating strategies to attract tourists to Nayarit in its entirety, for which they count on the support of the Government of the State of Nayarit via the Tourism Promotion Trust (Fiprotur).